My name is Sandra. My son is a student of the London School of Economics (LSE) in the UK. His course instructor advised that he steps out of the UK to gain relevant experiences as part of his Industrial attachment and a year abroad. 12 months abroad seem such a long time. But since he has never been independent, we felt that it is an opportunity for him to develop that courage and boldness needed in the Job market. The 12-month journey started with the evaluation process and planning. We opted for a customized program because we wanted to get this thing right at once. My husband and I were pleased to know that the program made room for such demands. I spoke with Heidy and Anthony about the strategies to use and those guys were very helpful bringing us information for decision making. The university approval process was very quick and the reason we felt CIP’s Internship could be ideal for my son is first of all their university affiliations in the UK, their program components that include mentoring and coaching and that they had 17 other students from various universities from the UK also joining the same program. I remember CIP got them acquainted with each other before proceeding on the journey to China. Knowing I was not the only parent taking the risk was very refreshing. He returned home with very improved mandarin skills and understanding of China as a global player. This knowledge can only be reinforced through an internship in China. We appreciate the professional nature of CIP’s Programs and the support we got while our son was abroad Most of all, from a parent’s perspective, we want to thank you (CIP) for covering all of the details to the point where we felt calm & secure enough that our son, who joined your program, was going to be in great hands. You respectfully & immediately got back with us regarding all of our concerns with safety, housing, flights, airport pick ups, visas, etc…no question was too much to be addressed. I will recommend China Internship placement to any parent. Just engage them and you will realize what they have to offer. 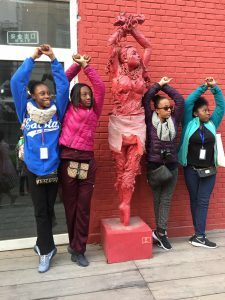 The post CIP Gap Year in China Program Review from a Parent [Video] appeared first on China Internship Placement Blog.